Bitrix24 Standard or Professional plan subscribers can add custom fields for tasks. Important: you should have administrative access to Bitrix24 account (be one of the account administrators) to access this option. Simply click ‘Create new task’, scroll to the bottom and create a custom field. Text - enables the user to type a small amount of text inside the task's field. Number - allows user to add numbers (e.g. quantity, price, cost, etc.) to the task's field. New custom fields can be marked as required and\or multiple. Required fields will be marked with a red sign in the task form, meaning users won't be able to save task without filling this field. Multiple option custom fields will be shown with "add" option which allows to add multiple values to the same field. Added custom fields will be available to your Bitrix24 account users. 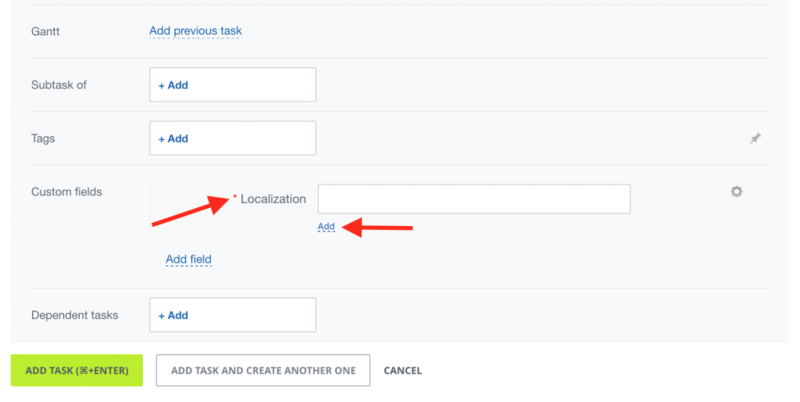 Important: if you've saved a new custom field as required - your account users won't be able to create new tasks without filling this task field. 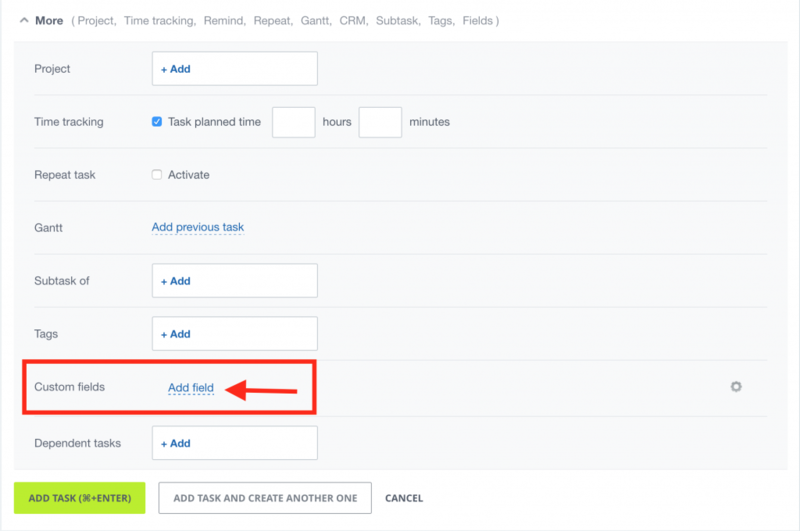 set field set to all users: you can share the newly created task field set with all employees. Important: if other users have own task form configured - this action will erase there settings and apply your from to everyone. enable field dragging: you will be able to drag and reorder new custom fields.